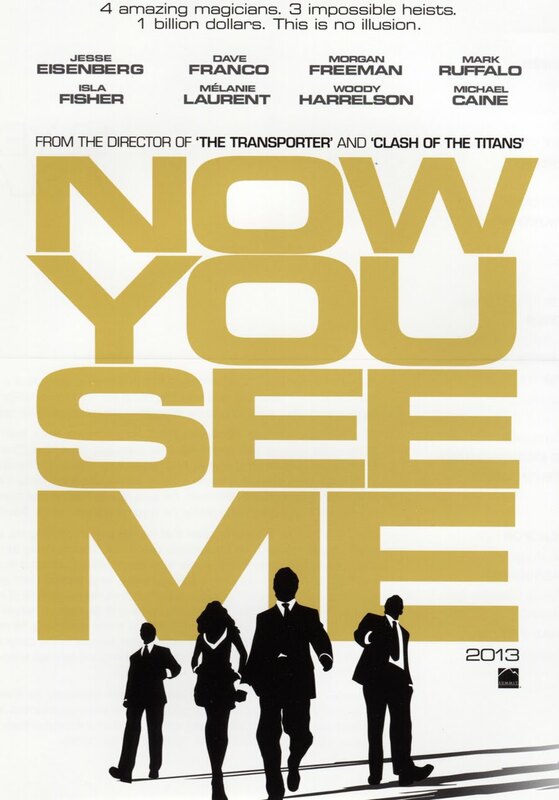 Now You See Me is a film about a group of 4 magicians brought together by an unknown person. They are convinced to become a team and eventually they land their own show in Las Vegas. When one of their tricks involves stealing a large amount of money, they become part of a cat and mouse chase with the FBI. The film was directed by Louis Leterrier. The cast includes Jesse Eisenberg, Woody Harrelson, Mark Ruffalo, Dave Franco, Isla Fisher, Melanie Laurent, Morgan Freeman, Michael Caine, Michael Kelly, Common, and David Warshofsky. 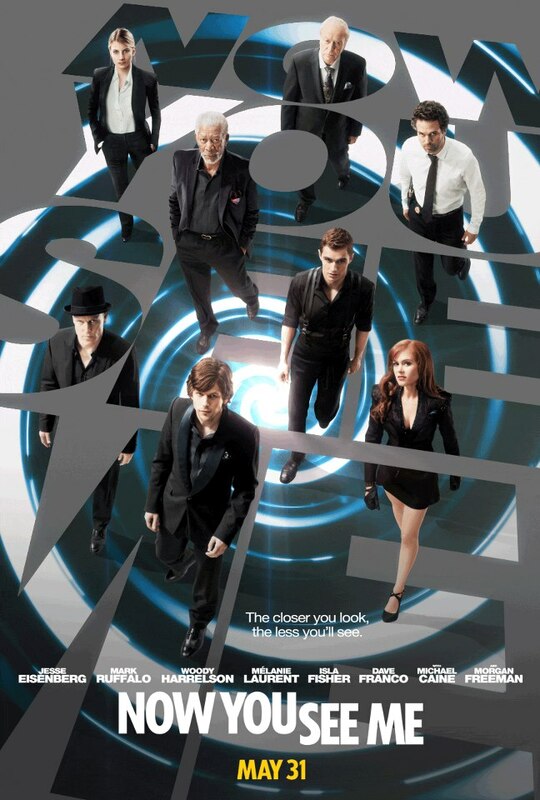 Now You See Me hypnotized me with its excitement. It was certain to amaze. The cast of characters were all clever and quite entertaining. For a while I was caught up in the illusion of the promise of something great. Eventually I was let down. The ride was a thrill. The destination however, was a disappointment. 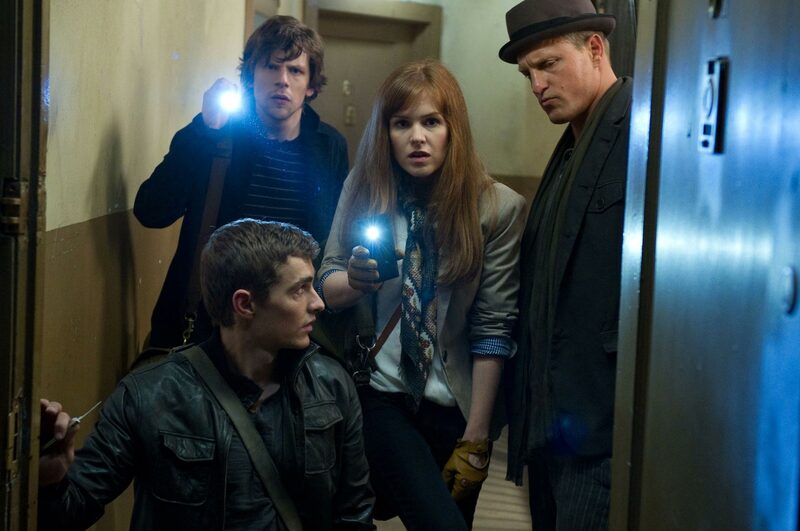 I enjoyed seeing Eisenberg and Harrelson teamed up together again for the first time since Zombieland (2009). This is the 4th time that Freeman and Caine have been in the same film. The previous 3 films were The Dark Knight Trilogy. 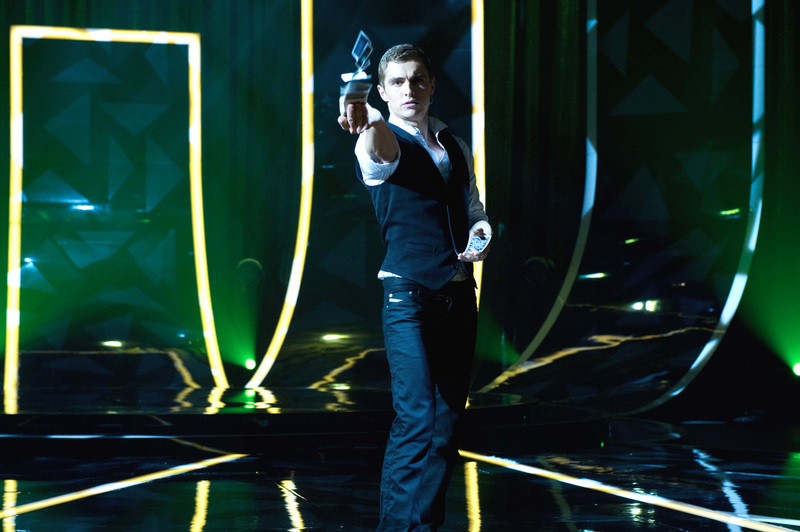 Now You See Me could be Dave Franco’s best performance to date. It was nice to see Laurent in another American made movie. This is the first film that I have seen her in anything since Inglourious Basterds (2009). The story was unfinished and sort of lacked a point. The movie became dependent on sleight of hand in order to entertain. You can only one-up a magic trick so many times before it starts to get a little worn out. The ending of the film acted like it was a big grand conclusion when in reality it just fizzled. Don’t get me wrong, the movie was fun and amusing. It was worth seeing, just not in the theatre. 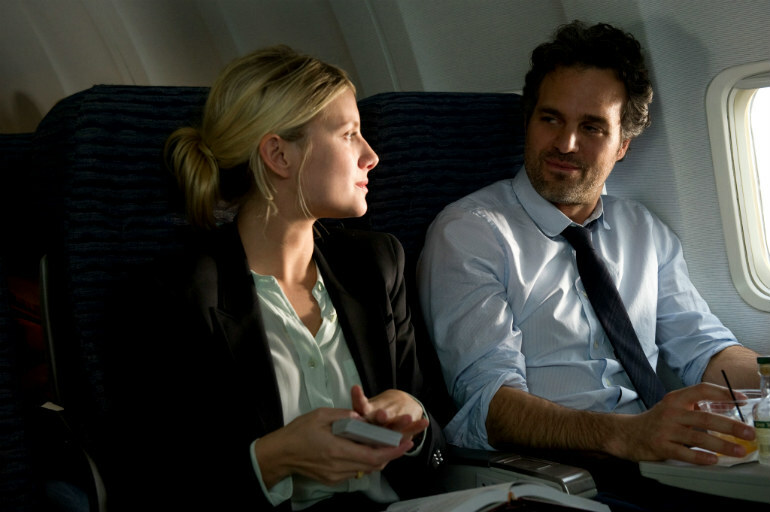 The film is like any magic trick, once you know the secret behind it, it is no longer exciting. 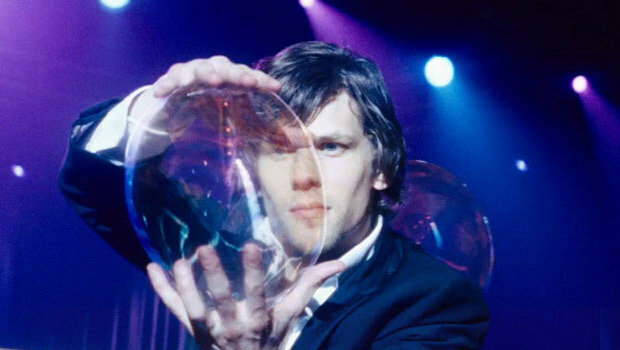 The movie is about a group of famous magicians turned bank robbers. It appears that the sleight of hand in the film will mess with your mind and keep you entertained just like real magicians are supposed to do. The casting is a reunion of sorts. 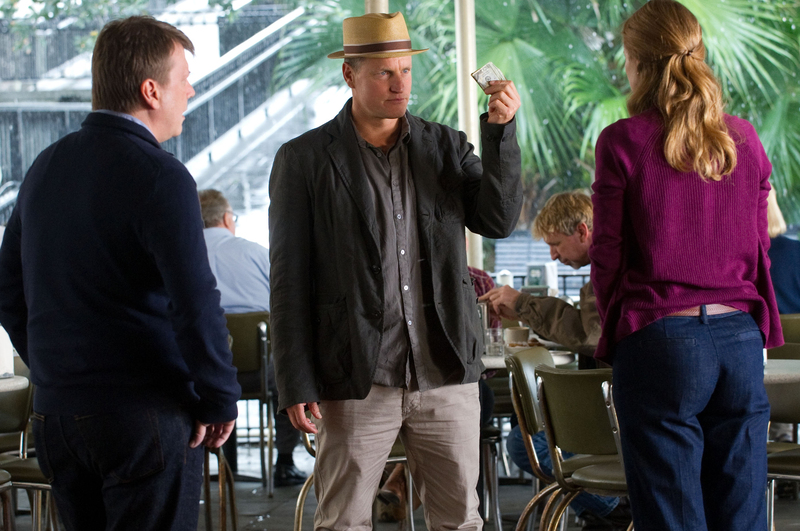 Jesse Eisenberg and Woody Harrelson are together again for the first time since they were teamed up in Zombieland (2009). 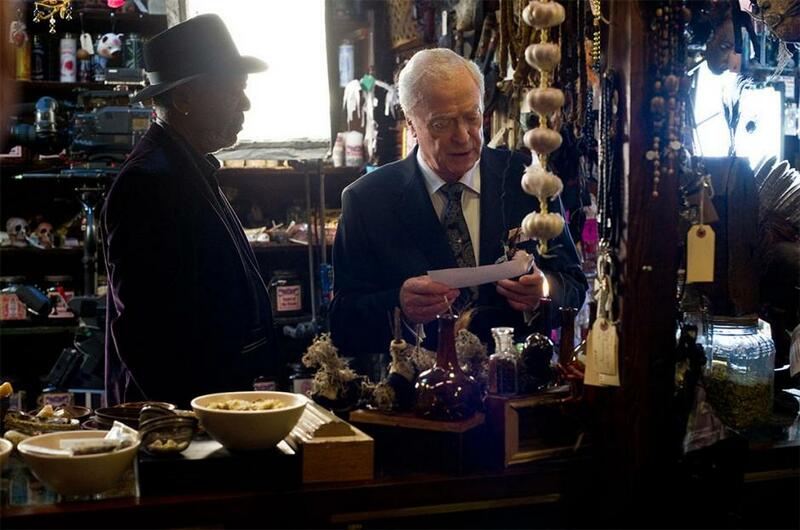 Morgan Freeman and Michael Caine are reunited for the first times since the Dark Knight Trilogy. The film also has Mark Ruffalo, Isla Fisher, Melanie Laurent, Michael Kelly, Elias Koteas, rapper/actor: Common, and James Franco’s little brother Dave Franco (proved himself in 21 Jump Street (2012). It looks like a cross between Ocean’s Eleven (2001) and The Prestige (2006). Looks like it could be missing something, but maybe we will be pleasantly surprised.